My name is Revital Shiri-Horowitz. I am a wife and a mother of four boys. About two months ago, my husband and I took three of our four boys and moved back to Israel, just in time to celebrate the Jewish New Year. Our oldest decided to stay in the U.S. and to go to college at the University of Oregon, his dream university. Our family had lived in Seattle for many years and loved it there, but we felt like it was time for us to move back to the place where we were born, to live next to our elderly moms and to connect to our roots. We settled in Tel Aviv, and we like it here. 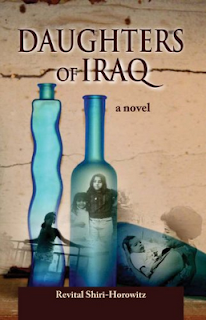 I am the author of the book Daughters of Iraq, a novel based on my family's story of emigration of Iraqi Jews fleeing Iraq to settle in Israel. It is essentially the story of love, roots and self-discovery. It is Thursday morning in Tel-Aviv. In less than a week we are going to be celebrating the Jewish New Year – Rosh Hashana -- and this time, after so many years living abroad, we will be celebrating it in Israel. I loved my life in the U.S., but missed my Israel every single day. It is so complicated. I tried so many times separating emotionally from my country. The reason I wanted to be separate was that life in Israel is so complicated and sometimes very painful. I thought that I wanted better life for my kids, without the everyday stress that we Israelis are being exposed to. I think that most people in the world would appreciate a quiet, simple life, a kind of life where you could focus on your individual life, and not be forced to deal with your country's existence -- future and present, every single day. I am one of those people myself, who can appreciate a quiet and simple life. Yet, I found out that feelings are way stronger than rationale. I missed Israel so much. I missed the language, the people, the environment, the desert, the Sea of Galilee (Kinneret). I missed Jerusalem and I missed my family and friends. Israel is the only Jewish country in the world. You really feel the Sabbath, for example, and you certainly feel the Jewish holiday spirit. The Jewish New Year is coming up soon, as I already mentioned, and this time we will have our extended family with us. In Judaism, the holiday starts when the sun goes down. This is where a new day begins. We celebrate this holiday with a big feast. New Year's Eve in Israel is very special. There are even traffic jams everywhere, and the party lasts until very late at night. It is a family-oriented holiday. "Where are you going to be for Rosh Hashanah?” (New Year's Eve?) is the question you will hear everywhere. Throughout the city and the country people are busy just preparing. Sometimes people find that the holiday is too much about family and they try to avoid this pressure. I found myself one or twice trying to escape from all this, but at the end of the day I find the holiday season quite nice. When I was in the U.S., I really missed having my family with me. Israel is similar to the U.S. in that it is a multiple culture country. In Israel, the majority of the population is Jewish, but their origins are from all over the world. My parents came from Iraq, for example, so we have our unique traditional dishes (which by the way is one of the subjects you'll find in my book, Daughters of Iraq.) You probably know of “Gefilte fish” (a fish meatball). If you never heard about it, you're probably a minority living in an isolated area, or you do not have Jewish population next to you, since this dish is a very well known. The origin of this dish is Eastern European, but it's sold everywhere and is related to Rosh Hashanah, the New Year's Eve dinner. Yet, this dish is actually not a tradition for all Jews. For example, it's not a tradition for those who emigrated from Arab countries, like my family did. One of the major blessings for the holiday is eating the head of the fish in order to be blessed -- to be the head and not the tail. Jews originally from Arab countries eat fish but it's sour-spicy. They don't eat Gefilte fish. There are many other differences between different Jewish cultures, but the basics are similar. You dip apples with honey for the blessing of having a sweet year like honey; Iraqi Jews eat apple jam. Every culture is a little different, of course. The nice thing is that since Israel was established, 63 years ago, there were so many mixed cultural marriages, that when you are actually having a nice New Year feast with all those multicultural dishes being served on one table. It's so colorful. At the table there are many accents that you will hear next to you. We are having 30 people for our dinner. So many mixed cultural dishes will be served. We will have Romanian, Iraqi, Polish, German and Turkish dishes. I believe that this is the same with every single family around us. This is what I like best about this holiday: people bring their culture, their foods, special blessings and their accent. It's a tradition to wear white clothing. We set nice tables and sit together as a family. We take the bad from last year and put it behind us, and we pray for a better, sweeter, healthier and peaceful year. Be blessed, and Shana Tova to all of you! Please comment below on your favorite holiday dish and enter to win a copy of Daughters of Iraq. In one week, Revital will pick a winner of this ebook next week! Available in any ebook format or as a paper copy. Also available in English or in Hebrew. Let us know the format and language when you are contacted your about winning! We will ship you a copy anywhere in the world. For the Giveaway Grand Prize: Everyone who comments is eligible to win a lovely Mama Nazima's Jewish Iraqi Cuisine (http://www.amazon.com/Mama-Nazimas-Jewish-Iraqi-Cuisine/dp/0781811449/). Revital will pick a lucky winner at the end of November 2011 and can ship anywhere in the world. Good luck! Daughters of Iraq is the story of emigration from Iraq to Israel as experienced by two sisters: Violet, whom we learn about through a diary she kept after being diagnosed with a critical illness, and Farida, whose personality unfolds through her relationship with her new surroundings and with herself. And a third character: Noa, Violet’s daughter and a student in her twenties, searching for meaning. Noa embarks on a spiritual quest to the past, so that she can learn how to build her life in the present and the future. While each of the three women is struggling with her own issues, they are all looking for the same thing: happiness. They have a strong sense of family, of their deep roots. They are all inextricably linked to each other. By the book’s end, the author has painted a powerful and moving canvas of the whole family. Please add your comment, and remember to add your favorite holiday dish for the giveaway! Revital, thank you so much for guesting on my blog today. I am reviewing your book so I do not want to give too much away here, but it is an awesome story. I am not Jewish but reading how you celebrate makes me wish I was. I am far away from my family now too and I understand your feelings. My favorite holiday dishes are Tamales and Kalam Polow, (which I do not know how to translate but is a wonderful lamb and rice dish). Thank you again. Happy New Year. Oh and I forgot you can use my entry for Daughters of Iraq for a follower named Freda. She left a comment on the teaser for your book yesterday that she really wants to read your book. However she had to go be with her mother as her stepfather is passing away and I am not certain she will be able to comment for the giveaway. Thank you. I've seen this novel on another blog and now I have read and been greeted by the author here, Nice. I love to read about others lives and cultural. I'm greedy,I love all holiday foods, each one, really! New Year its Black Eye Peas, Plaintains, Rice, Turkey Meat and Cronbread or Hot water corn bread. Thanks for hosting me on your blog, Congratulations Freda for being the winner of a free copy of my book "Daughters of Iraq". 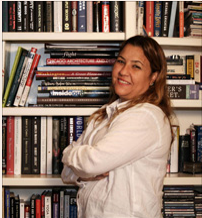 We will be contacting you on how to get a free copy to Freda.